All companies calculate compensation in their own way as there is no magical rule that has been gifted to us from the heavens. Despite this, we want to protect our lifestyles and our family. When someone else is careless and damages that, we want to receive a fair amount of compensation. 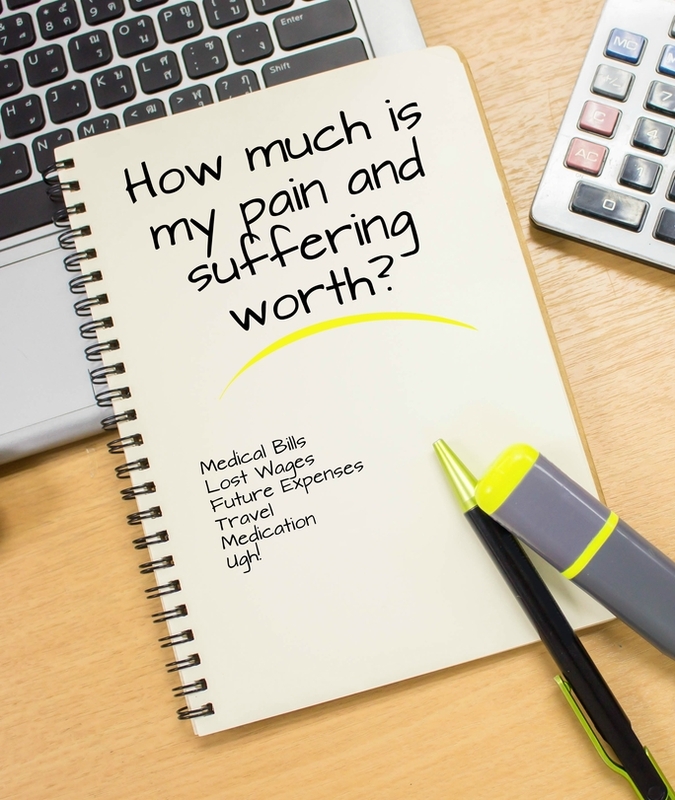 Here is how lawyers calculate pain and suffering so if anything unfortunate happens, you know you aren’t getting ripped off. The organization you will look for compensation from is usually the person at fault’s insurance company. You may find this idea overwhelming because you’ll have to go to court against companies who can hire a lot of lawyers. You will need a personal injury lawyer or a plaintiff’s attorney. These lawyers are experienced in helping you claim compensation from other individuals or even bigger corporations. If you want to get a better picture of what an injury lawyer looks like, here is some information from GBW.law. This legal term is used when someone suffers an accident. It does not just mean physical pain but names emotional injuries. As long as the emotion is negative, there is a case to fight for. Whenever an accident happens, most people will at least receive some compensation. There are a few ways insurance companies will decide to calculate this. There are two methods that anyone can understand. The multiplier method adds up all the economic damages made and multiplies it with a number that is picked. The number is based on the severity of the accident. The other method is to set a price for every day. Then, all the days the victim is in recovery will be added up and that will be the amount of compensation. However, most insurance companies use their own unique algorithms which they have built through computers. Proving Pain and Suffering for Compensation. The best evidence is always going to be the most vivid evidence. This means you should try to find evidence that shows the evidence visually. Videos, photography and even audio recordings can leave a strong impact. If your face is captured with the injury, you will have the perfect evidence. If this is not possible, you can always try to document emotional pain after the injury has healed. Showing journals or testaments from family and friends can prove that your mental health was affected greatly by the accident. If you have seen mental health specialists, you can use this as evidence too. One of the most common accidents people get into is with cars. Many lawyers specialize in auto law and there will be a few things that are specific to cars to keep in mind. Be sure to research before the accident happens because there may be many nuances involved. In the end, it isn’t the worst option to calculate using the methods mentioned above to calculate a ballpark figure. While insurance companies will probably find another figure, at least you will know what your compensation should be around.